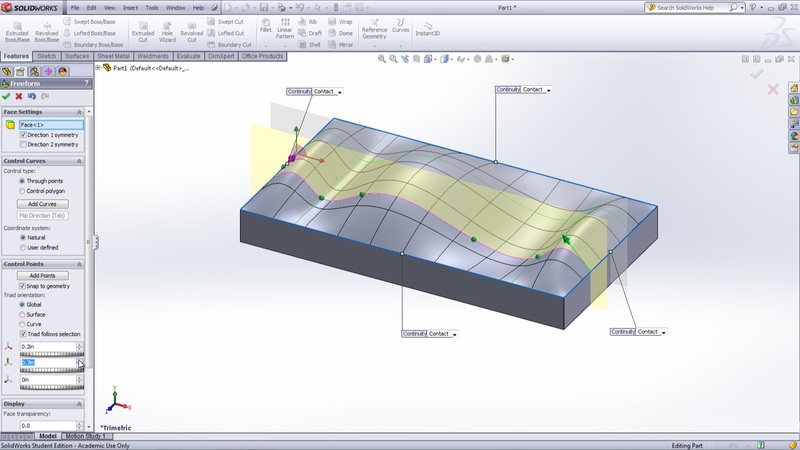 Check out this video that covers the SolidWorks freeform feature. The details of how to use this feature as well as the different options associated with this feature are presented. This tool is very useful in order to create desired shapes that would be next to impossible without this tool. Models that need comfortable grips or that require very complex curvatures can easily be created. 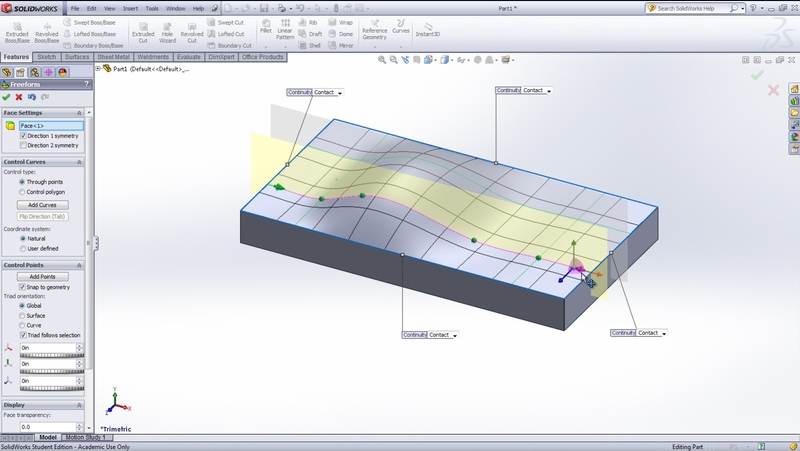 The feature allows points to be manipulated along control curves in order to the desired shape. I hope you find this tool helpful and try using it in your next model.